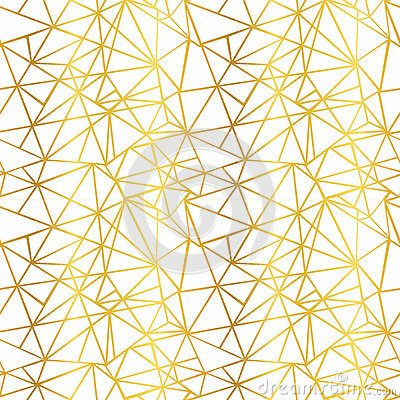 Vector White and Gold Foil Wire Geometric Mosaic Triangles Repeat Seamless Pattern Background. Can Be Used For Fabric, Wallpaper, Stationery, Packaging. Surface pattern design.